Yardening… for a moment I thought you had turned Swedish Rob. Conyats on all those spuds! I need to find a perennial crop that can produce as many calories per square foot without the work of composting, planting, and nurturing when the weather gets rough. Who’s got a dwarf chestnut tree? Sunchokes are the only thing that comes close, but its nothing like this. You can’t beat annuals for fecundity. 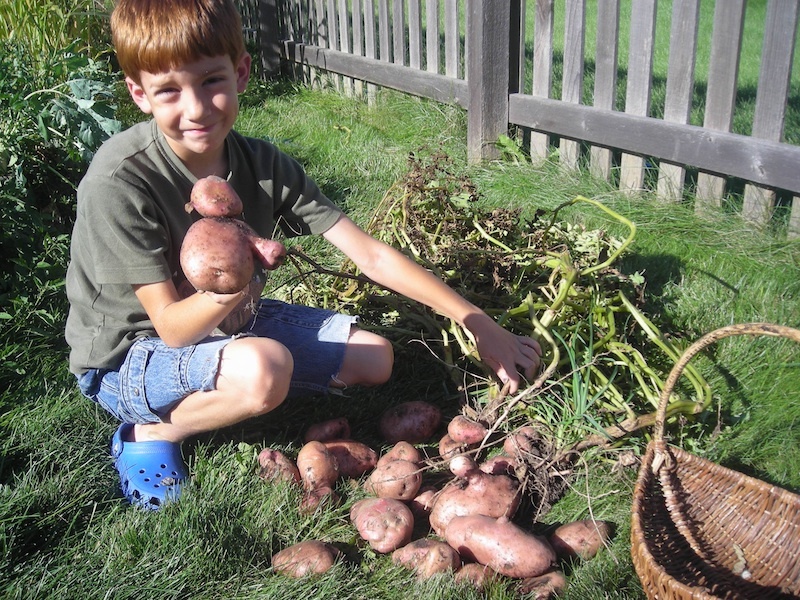 Yardening comes from the book that turned me onto compost – Yardening by Jeff Ball, also my goal to start viewing the entire yard as part of our gardens – an human designed and maintained ecosystem that needs to support us rather than our dousing it with chemicals and mindless labor. That yield is ridiculous! Awesome work. Right? That works out to about 250,000#’s per acre – or over 66 million calories. That is just silly! Like you, I skipped the potato towers this year — I had high hopes, but they were just average when I was all done. Oh well, nothing ventured. The self-watering containers, on the other hand — now THEY worked great. Probably not as well as your straw mulch, but how many people can do straw mulch on an apartment patio? My condolences! 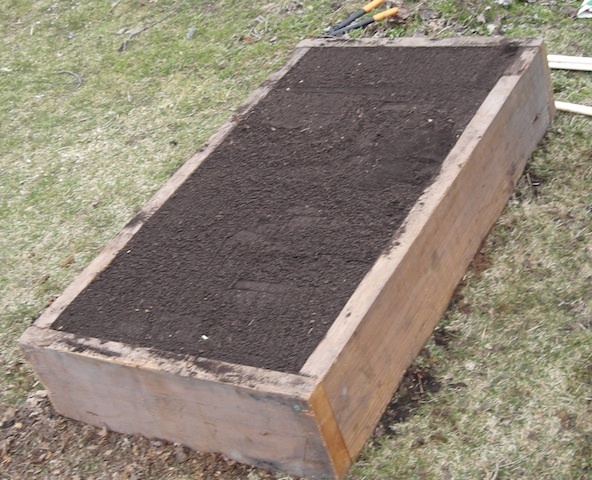 But I imagine your stewardship of soil will eventually make that market plot resemble the raised bed from this article. I’m excited by the possibilities from those trenches full of wood chips. Wow! Now that is a happy and inspired child. Amazing. And what a testament to the power of great soil–I can’t wait to see what mine’s like in a few years! We have to do most of our veg in raised 12″ deep boxes on top of a no-soil part of our yard, and I’ve been moaning about that limitation. But no more! If the soil is great, the productivity will not be limited by the size of my bins! Thanks for the great pics! 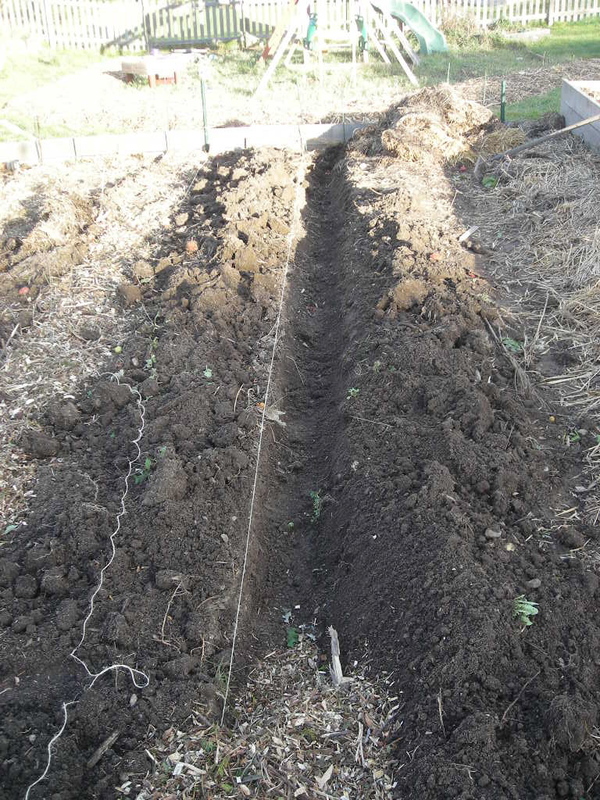 I forgot to ask in my response to your post, did you hill the potatoes with soil from the raised bed, or add more soil to the beds? 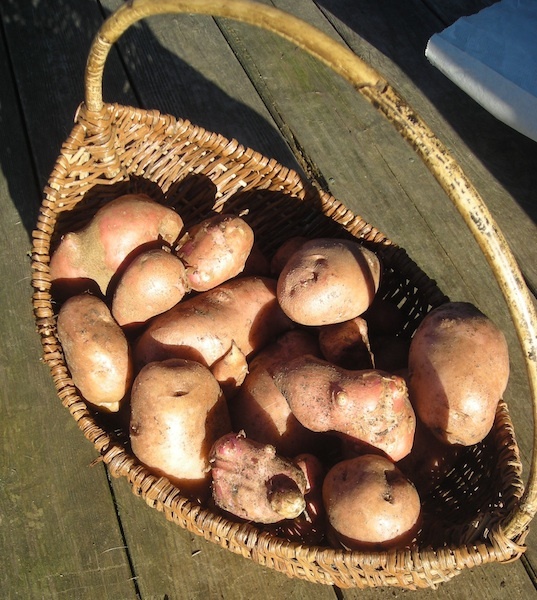 I’m considering trying a similar technique to the Straw Mulch Potatoes this coming spring with Rabbit Mulch. Basically using my two pet rabbits’ litterbox remains as the mulch which consist of rabbit droppings, hay, rabbit urine, and recycled paper pellets (Yesterday’s News is the brand). I just wanted to know your thoughts on this technique and if you thought that would be enough by itself or should I add something else to the mulch? Leave out anything? thanks! Jenn, my only concern would be that off putting uncomposted manure so close to an edible crop. I know that rabbit manure is “cold” and will not burn due to its low nitrogen, and is often used to side dress in gardens. However, I have only seen this on fruiting plants like tomatoes, peppers, etc. My fears my be groundless, but it may pay to dig if you are not sure either. From a nutrient standpoint I think it would be brilliant – tons of nitrogen and organic matter + bacteria from the rabbit guts. The bedding would act as a great mulch similar to the straw, but I would spray it with a hose a bit after you applied it to ensure it is moist enough. I would have zero concerns with using it as a substitue for my horse manure layer, by putting it on the winter prior. Organic standards, which I often use as a baseline, typically call for 3+ months of time before a manured field is considered “Safe”, and they count vermicompost as manure last I checked -though that is a bit extreme for me.